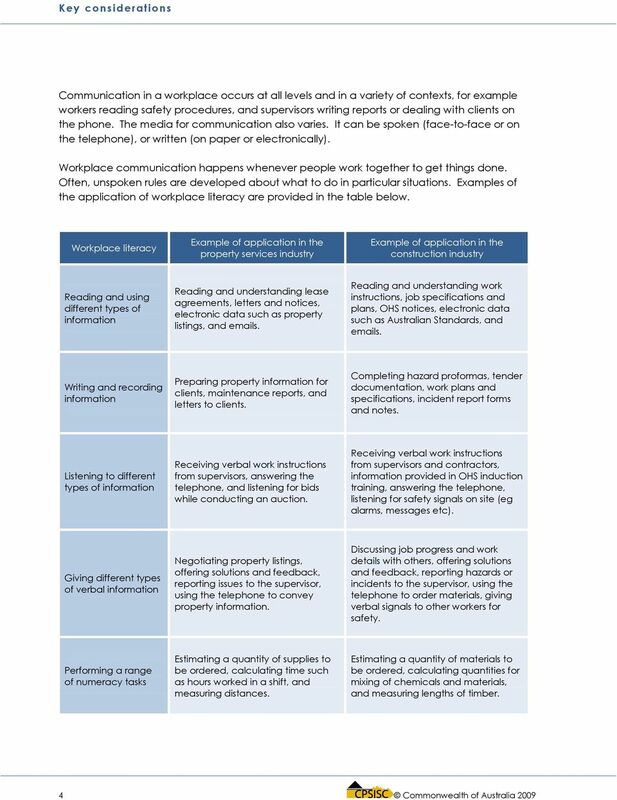 Download "Key considerations. 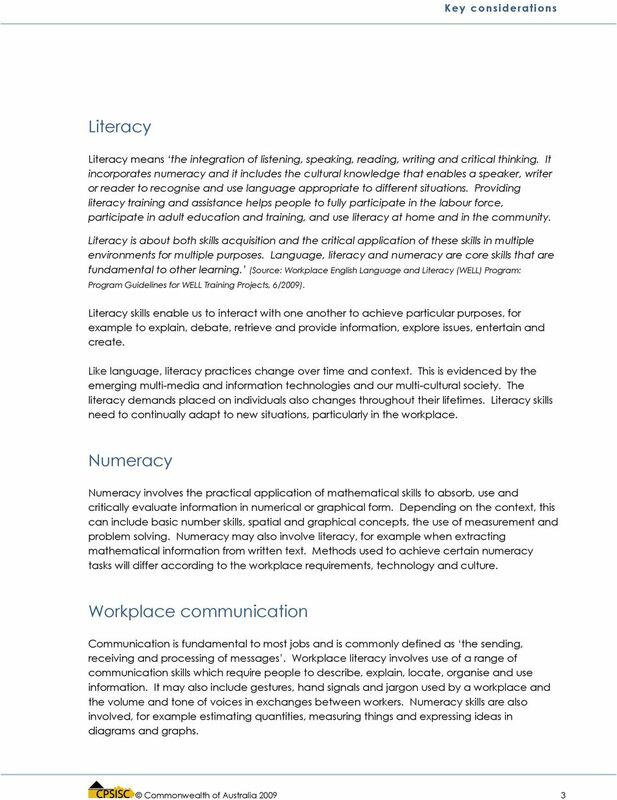 Key Background"
1 Key Background Workplace communication skills, underpinned by language, literacy and numeracy, are increasingly valued in all occupations and industries due to the greater complexity of interactions between workers and suppliers, colleagues and clients. Computerisation has increased productivity and changed many aspects of the production process. While technical skills are still required, most occupations need workers to have higher levels of problem-solving or cognitive skills, and higher levels of interpersonal or communication skills. 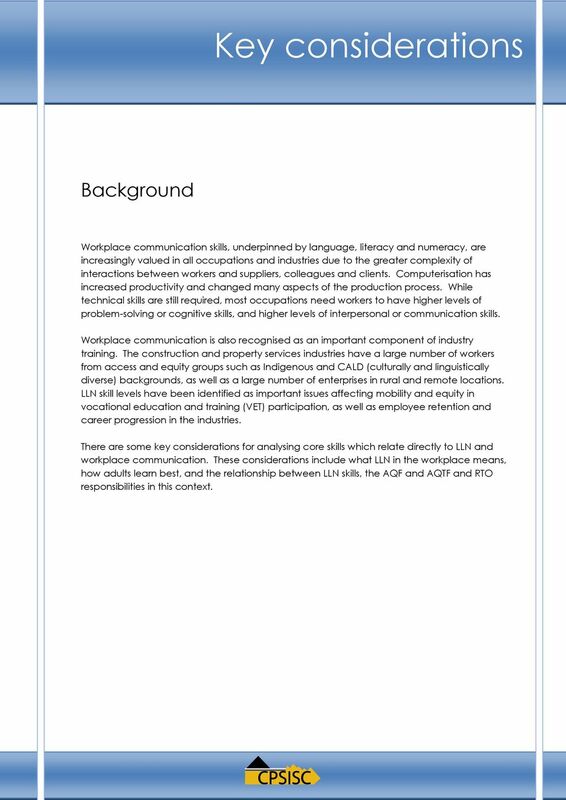 Workplace communication is also recognised as an important component of industry training. The construction and property services industries have a large number of workers from access and equity groups such as Indigenous and CALD (culturally and linguistically diverse) backgrounds, as well as a large number of enterprises in rural and remote locations. 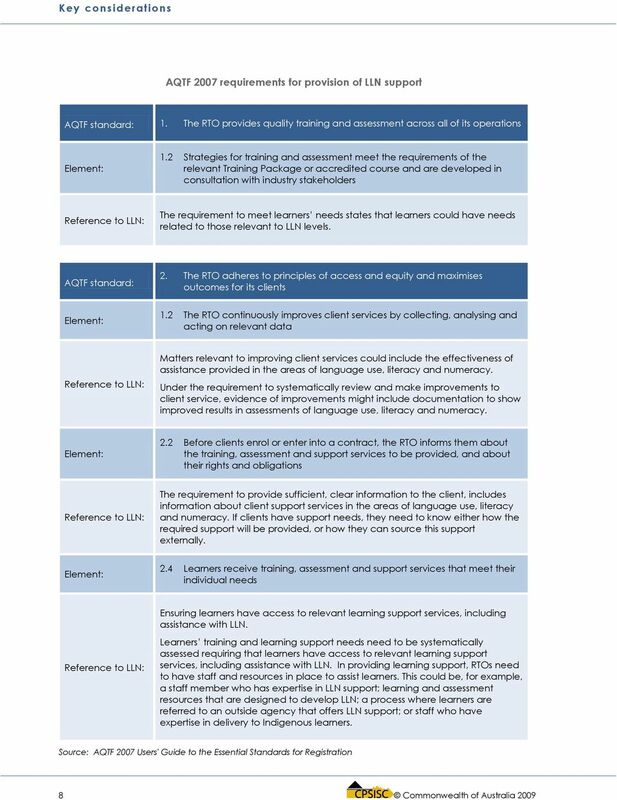 LLN skill levels have been identified as important issues affecting mobility and equity in vocational education and training (VET) participation, as well as employee retention and career progression in the industries. 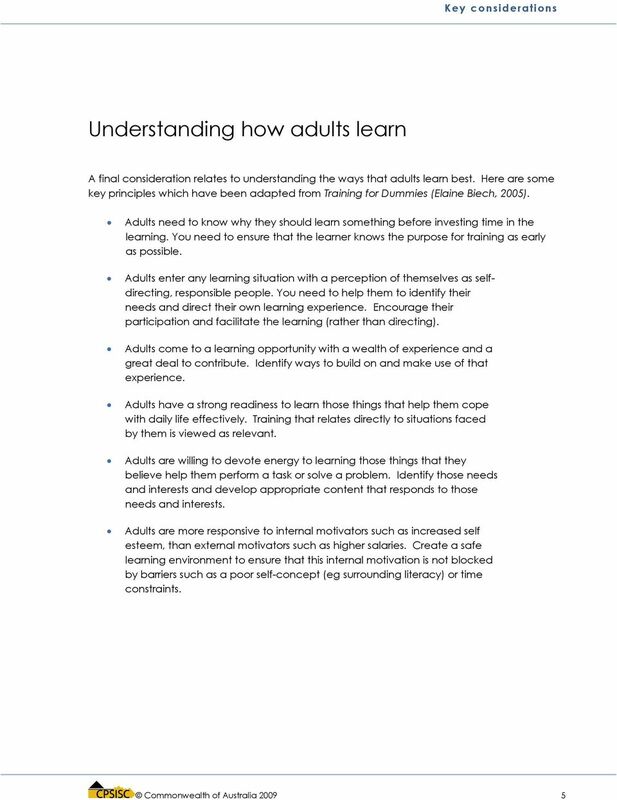 There are some key considerations for analysing core skills which relate directly to LLN and workplace communication. 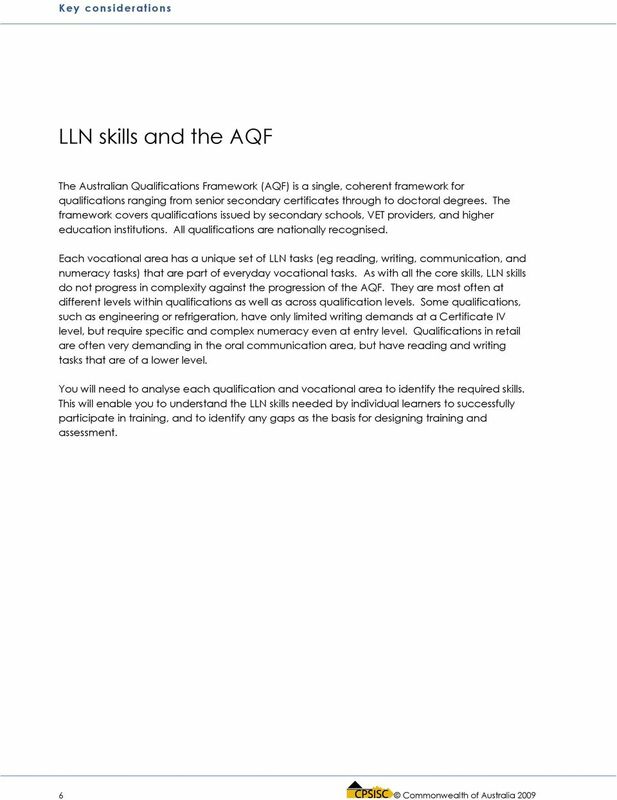 These considerations include what LLN in the workplace means, how adults learn best, and the relationship between LLN skills, the AQF and AQTF and RTO responsibilities in this context. 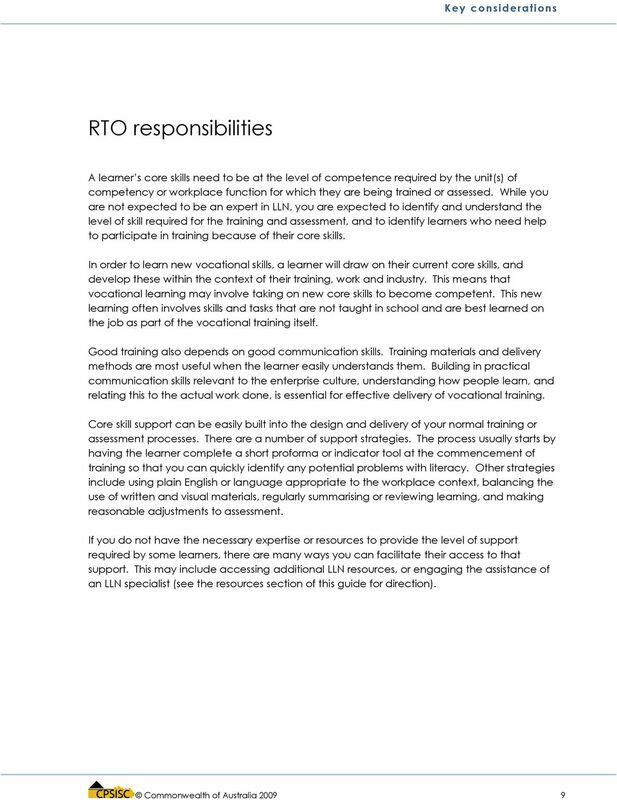 PRSTS301A Unit descriptor Employability skills Application of the unit Unit sector ELEMENT Elements describe the essential outcomes of a unit of competency. 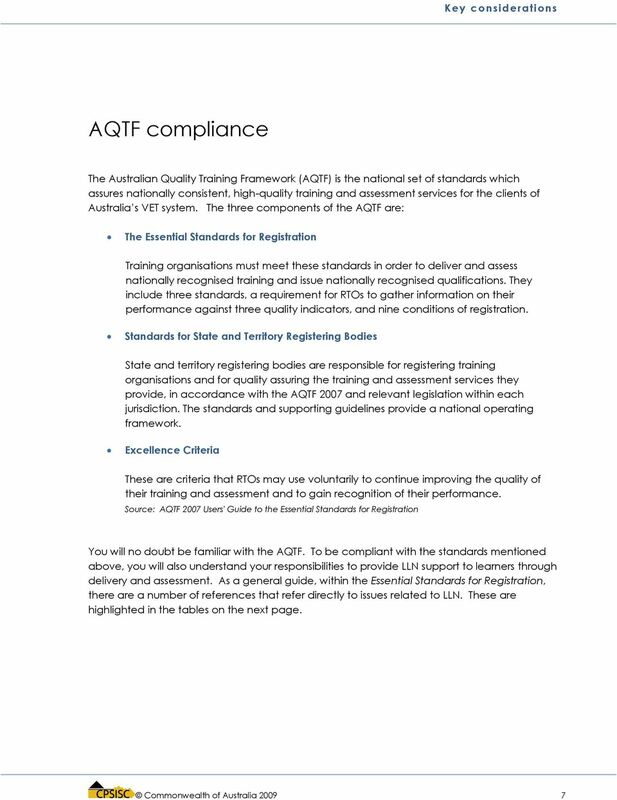 1 Prepare to identify security requirements. 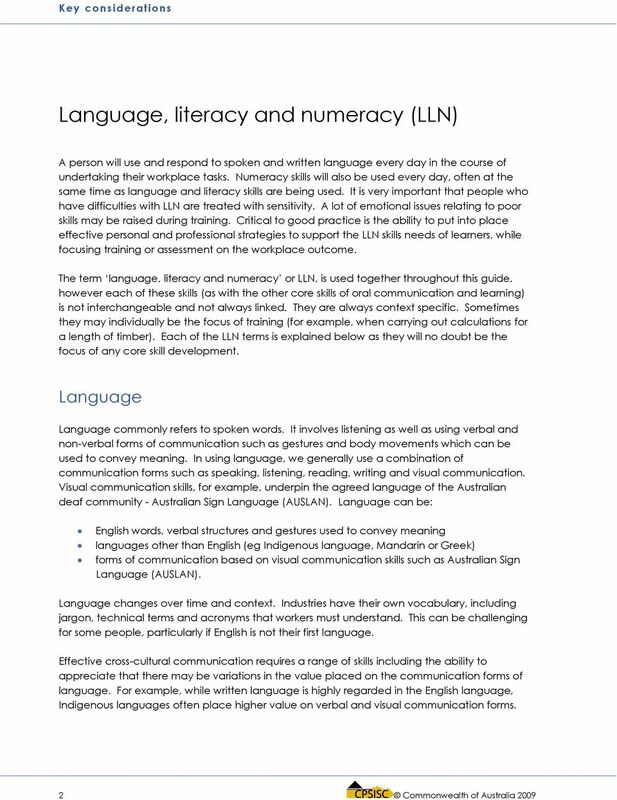 BSBCMN103A Apply basic communication skills Release: 1 BSBCMN103A Apply basic communication skills Modification History Unit Descriptor This unit covers the development of communication skills in the workplace.